Mostly Board Games: It's a bird, It's a plane, It's.. a new section of mostly board games! It's a bird, It's a plane, It's.. a new section of mostly board games! I have just added a new section to MBG titled 'Editorials'. Currently there's ONE editorial (it's a bit long winded, sometimes once the rant starts you cant stop) which I've just posted today but I look forward to adding more content to it shortly. What exactly will the editorials be? Basically anything written about board games that isn't a review, news or a weekly recap. Top lists, rants and anything else I come up with. Inspired by todays post about the size of a board game library, I've decided my next editorial will most likely be games I own that I don't really need in the library. San Juan: The card game version of the classic that I've never played - Puerto Rico. 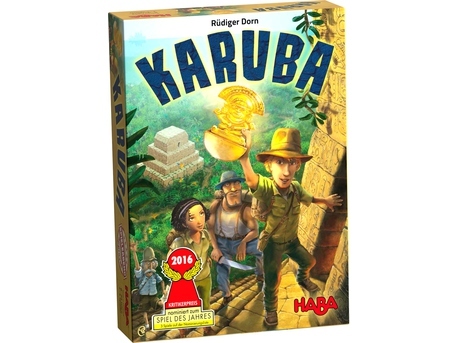 Although highly rated (#9 on BGG) and often spoken about, something about Puerto Rico just doesn't really entice me into purchasing it and I don't actually know anyone who owns it, thus the reason I've never played it. Curious as always I had the chance to settle for the next best thing and give San Juan a go. It's a simple enough game to learn with plenty of decisions to make. You collect, spend, and build with the same cards which often leads to internal conflict which card to build and which cards you can afford to spend to build it. Each round you can select one role to activate which each player will be able to utilise, but the player activating the role receives a bonus towards that role. I've just made a simple game sound complicated, but the bottom line is will I buy San Juan? Probably not. It was fun for a card game but the art/style of the game didn't really draw me in. I'll definitely play it again and in the meantime will still be looking for an opportunity to play Puerto Rico. Roll For The Galaxy: Now that this has made it back to the table I think we may see it here a bit. Another two plays and still enjoying the mix of dice rolling, engine building and resource management. Last Will: I decided to give this another go. Thought's haven't really changed. It's alright, but there's other games that I'd rather play. Everything is still on my radar but it now also includes Karuba as I've ignored it for far too long! Seems like a simple enough game for anyone but with enough strategy for gamers to at least enjoy. Still waiting for some specials!